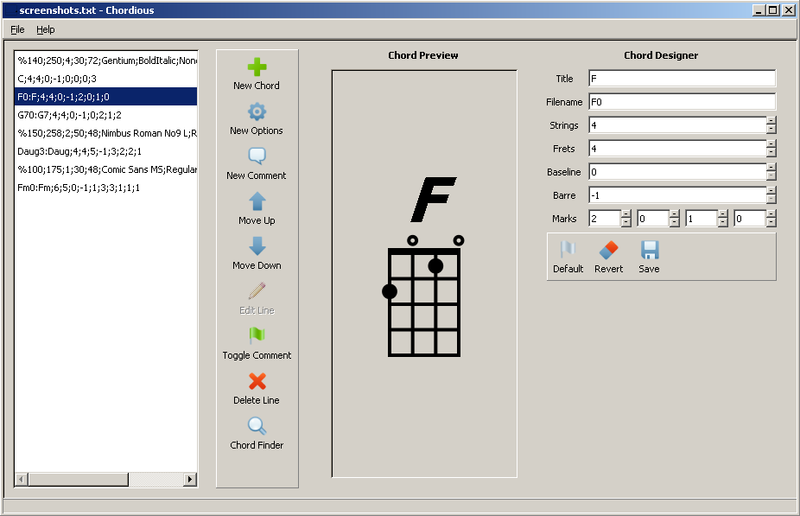 Note that Classic Chordious is no longer supported, updated, or maintained by the developer. The information provided here is primarily for archival purposes. 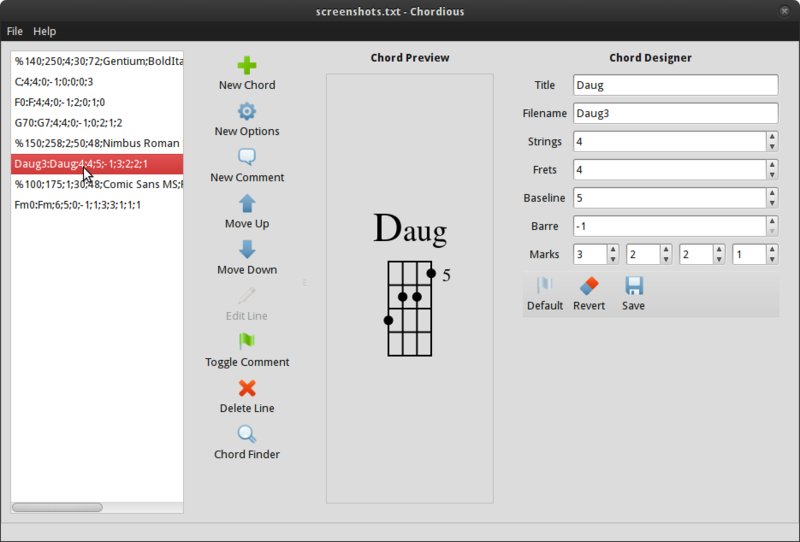 Classic Chordious development (with source repository, bug tracker, and more) is archived on Launchpad. 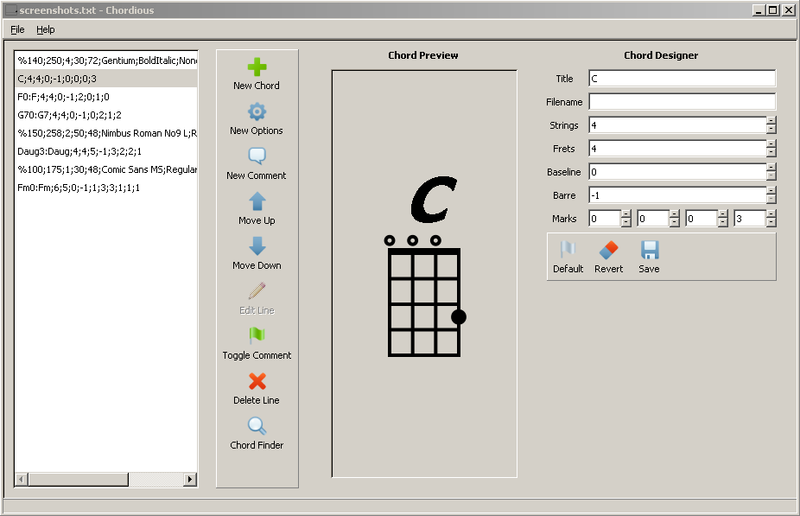 Note: Classic Chordious was built on Mono, an open-source, cross-platform application framework. It will not work without Mono 2.10.9 or higher. If you don’t have Mono, please follow the installation instructions below to get Mono before trying to run Chordious. 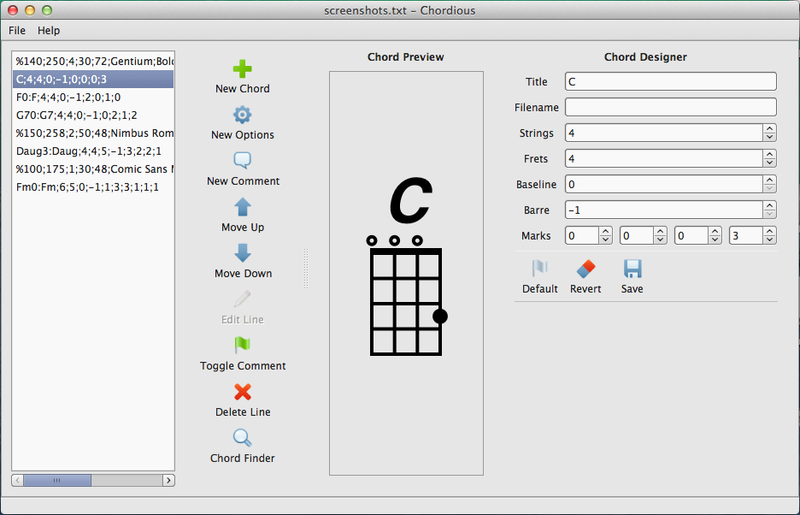 Also, after you’ve installed, be sure to check out the help below if you’re having trouble figuring Chordious out. 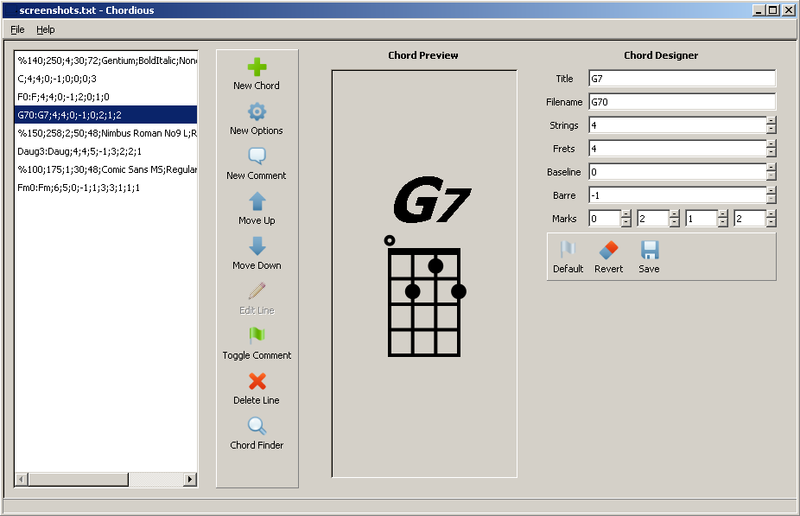 Classic Chordious was tested on Windows XP, 7, 8, and 8.1 with Mono 3.2.3. 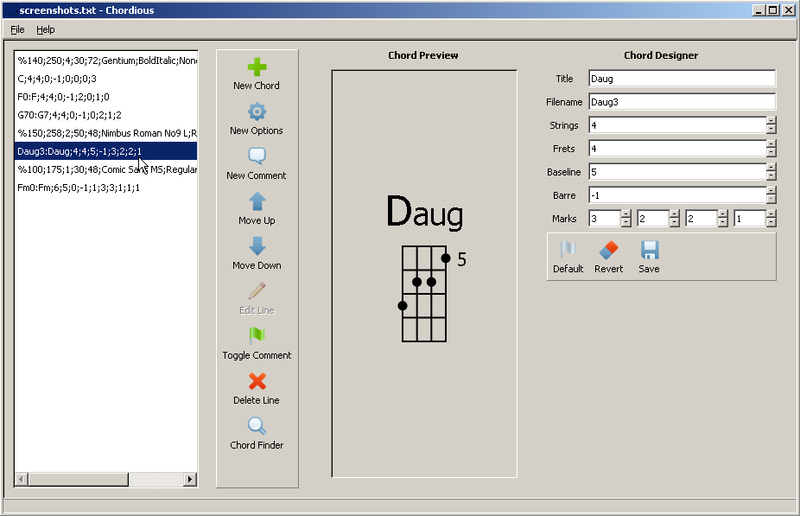 Note: Unless you’re running Windows XP, I highly recommend skipping Classic Chordious and trying out the latest Chordious instead. See When would I install Classic Chordious instead of Chordious 2.0? Note: Please install Mono for Windows 3.2.3 to ensure expected Classic Chordious operation. The latest versions of Mono for Windows change how they’re installed and Classic Chordious can’t always detect their presence. Download and install Mono for Windows 3.2.3. Download the latest Windows Setup EXE above. Double-click the exe and follow its instructions. 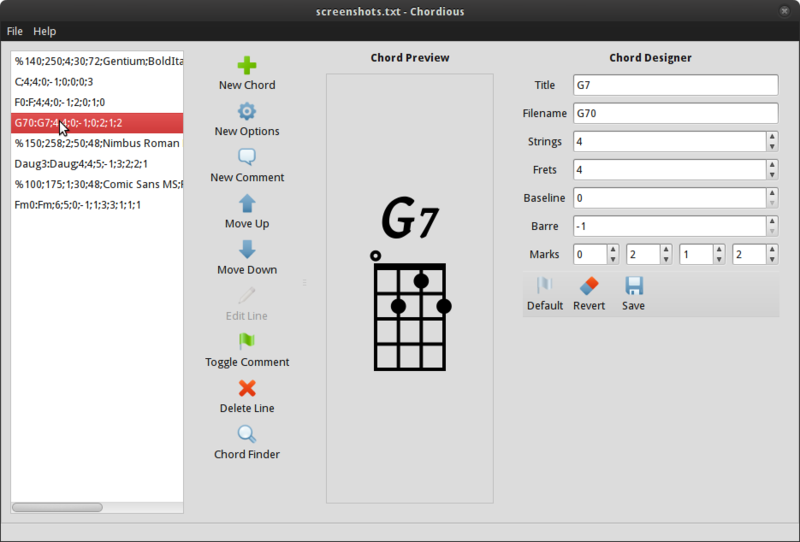 Chordious can now be launched from the shortcut in your Start Menu/Screen. 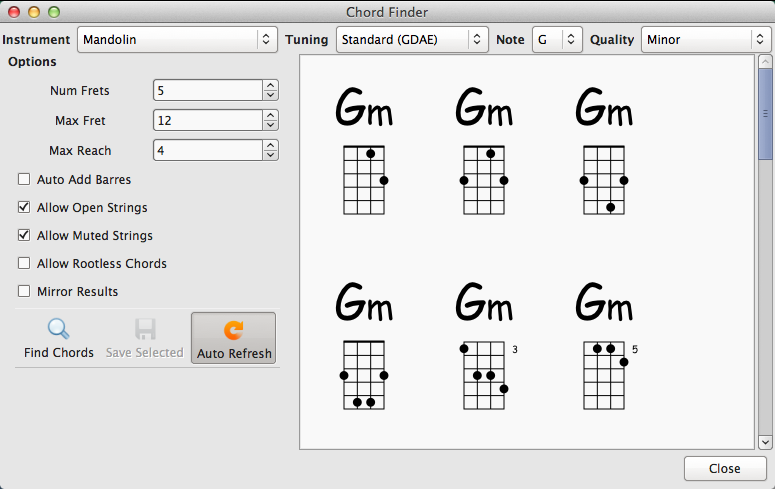 Classic Chordious was tested on Mac OS X 10.9 “Maverick” with Mono 3.2.3. Download and install the latest version of Mono for Mac OS X.
Download the latest Mac OS X DMG above. 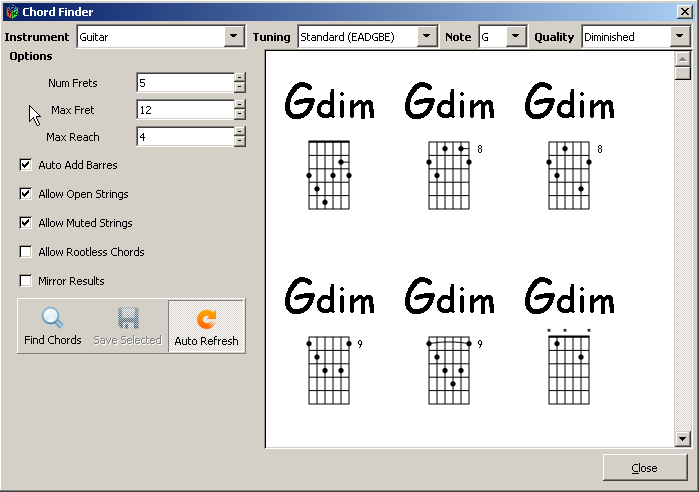 Double-click the dmg to mount the volume. On your desktop, open the Chordious volume. Copy the Chordious app to your Applications folder. On your desktop, right-click the Chordious volume and umount it. 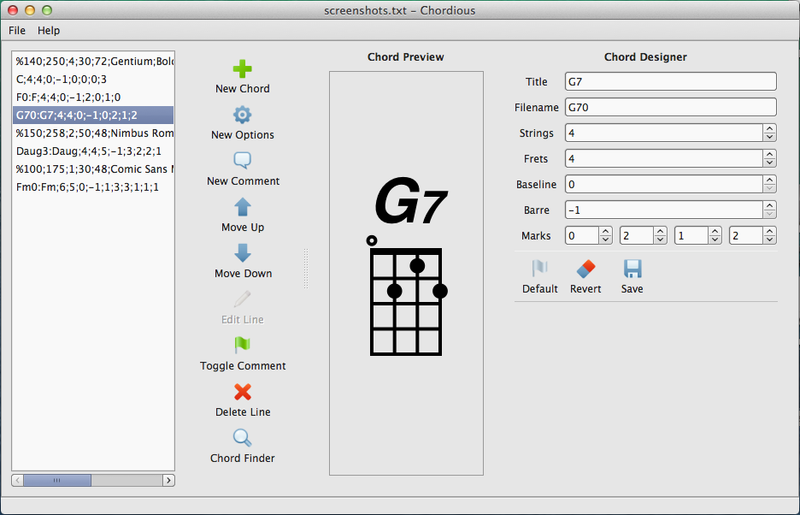 Chordious can now be launched from your Applications folder. Classic Chordious was tested on Ubuntu 12.04 “Precise” and 14.04 “Trusty” with Mono 2.10.9. Download the latest Debian DEB above. Download and install the latest version of Mono for Linux. Download the latest Linux TAR.GZ above. Want written instructions? 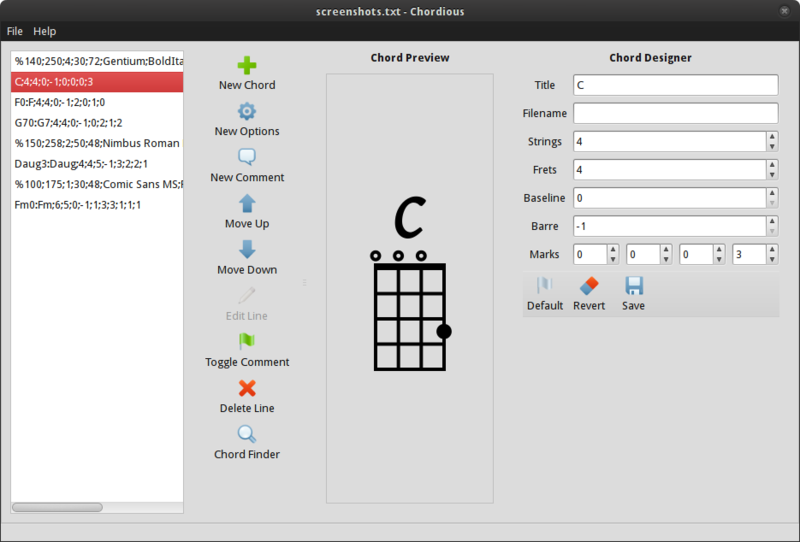 Check out the Chordious 1.0 Tutorial. Classic Chordious was the first version of Chordious. It’s built on top of the cross-platform Mono framework and works on Windows, Mac OS X, and Linux. Why do I need to install Mono? Why didn’t you use XYZ instead? Short answer: Mono provided the easiest, quickest way for me to make Chordious at first, let alone as a cross-platform application. Long answer: Software development takes time and energy, just like everything else. 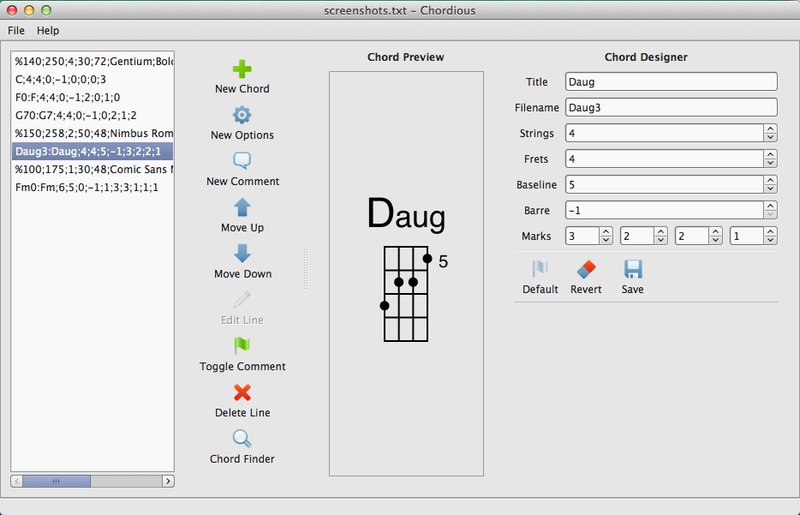 I wrote Classic Chordious in my free-time, without any plans to make any money off of it. Any non-trivial software needs some kind of underlying framework. If you write for just one platform, the best choice is often to use that platform’s native development tools. But if you want to build something cross-platform, and quickly, your best bet is to use an existing cross-platform framework. So why did I choose Mono? I was already a software engineer by day, so I didn’t have the time or brain capacity to learn programming languages that I couldn’t use at work. For Chordious 1.0, Mono let me use my C# skills, and gave me the development environment closest to what I’m used to using. If I had to learn another language or development paradigm, I never would have found the time to make Chordious. 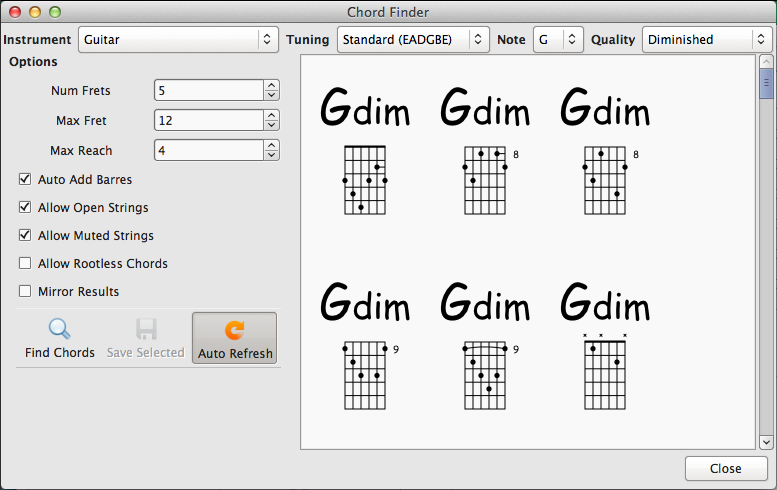 Why doesn’t the Chord Finder have my favorite instrument/tuning? Ignore the instrument names and look for your tuning under other instruments. The chords will be the same. (Advanced Users Only) All of the instrument/tuning information is stored in a file called builtin.xml in Chordious’ install folder. 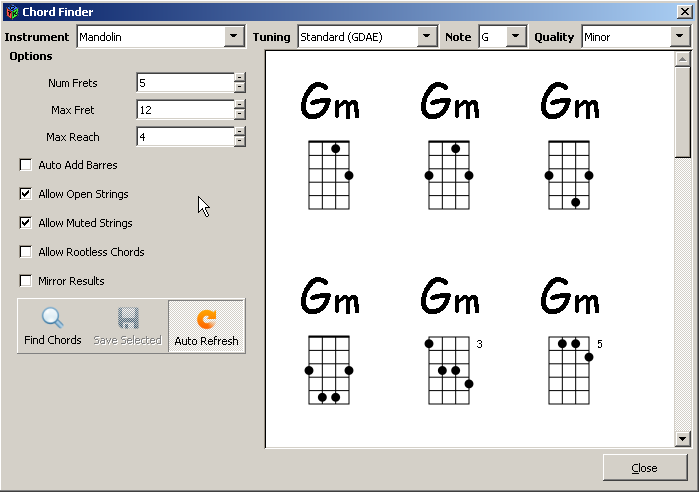 If you’re comfortable with editing an XML file, you should have no problem figuring out how to add your own instruments/tunings. Why is this app is so complicated to use? Have you tried following the video tutorial? The written tutorial? Still too complicated? Oops. Unfortunately Classic Chordious wasn’t designed for a general audience. 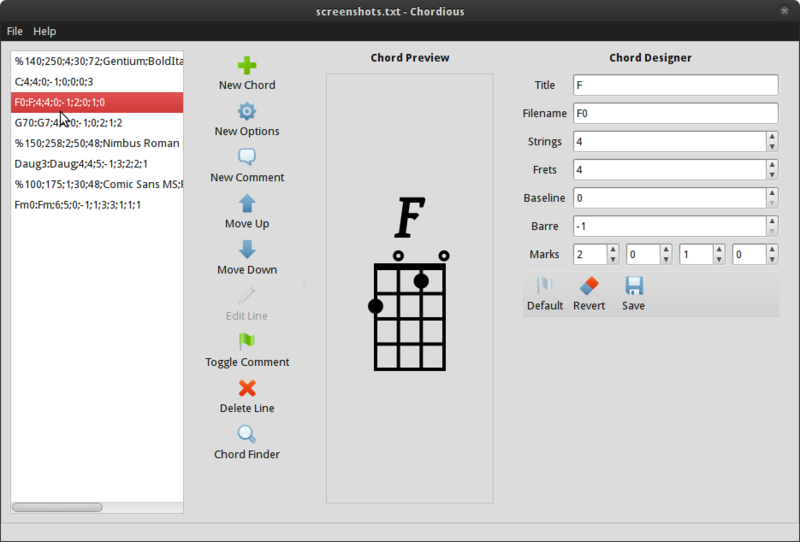 Chordious 2.0 however has been designed to be much easier to use. 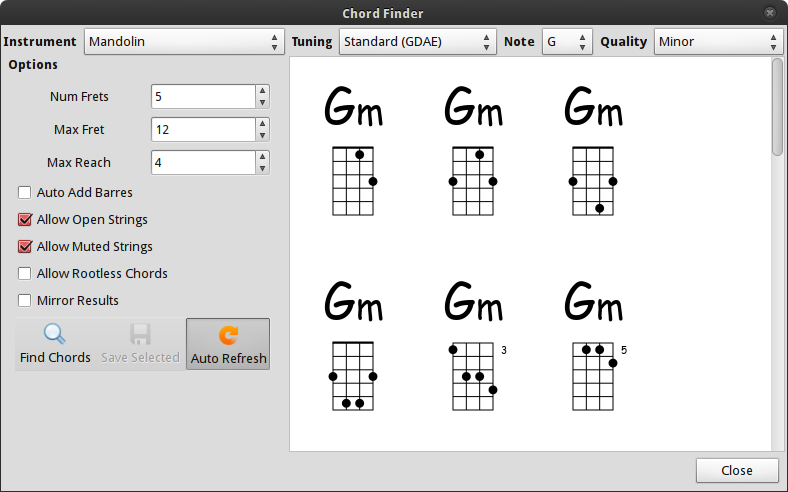 Why do I keep getting red Xs instead of chords? Classic Chordious uses a library called librsvg to draw the chord diagrams. 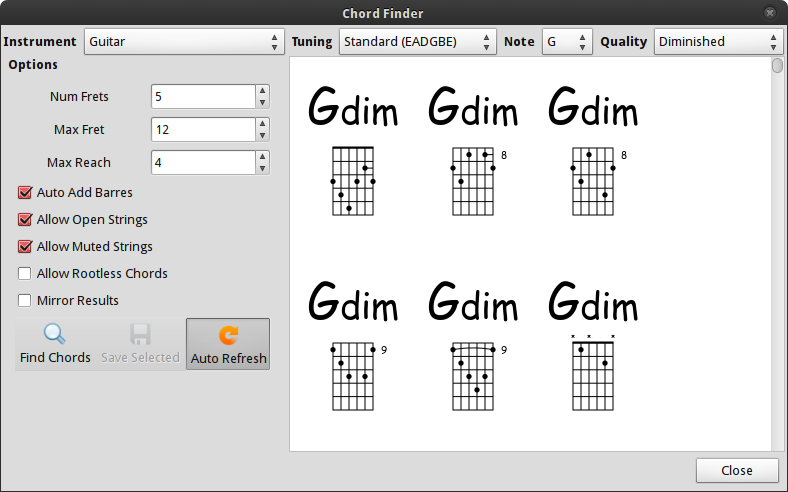 Red Xs mean Chordious can’t find librsvg. Make sure you followed the official install instructions exactly. When would I install Classic Chordious instead of Chordious 2.0? Why can’t I save my custom changes to builtin.xml? Files installed under Program Files sometimes require you to be an administrator to change them. Right-click your text-editor and choose “Run as administrator”. Then open builtin.xml and make your changes. You should be able to save your changes now. Why am I seeing “Chordious can’t be opened because it is from an unidentified developer” or “Chordious can’t be opened because it was not downloaded from the Mac App Store”? (Recommended) Right or control-click on Chordious, and choose “Open”. You’ll be prompted to allow Chordious despite being “unidentified”. You should only have to do this once (from what I understand). Alternately, you can configure Gatekeeper to let you run whatever applications you want. It’s a question of risk and personal responsibility. I wouldn’t use a computer that stopped me from using the software I wanted, but then again I know how to fix things if I screw up. I take no responsibility if you change this setting and then run some malware that hoses your system. Why didn’t you release Classic Chordious for distro XYZ, or in package format XYZ? Cross-platform development is hard enough, let alone cross-platform deployment. It took considerable time and research to create user-friendly installers for Windows and Mac OS X, but at the end of the day, it’s just one deliverable per OS, and they cover 98% of desktop PC users. Don’t get me wrong, I was an Ubuntu user for over a decade (Classic Chordious was written on Ubuntu), and I would love for Classic Chordious to appear in every distro’s repository. But it takes teams of dedicated package maintainers and testers to make that happen – even then all the tools and tutorials are very geared toward getting traditional Linux software (ie. not Mono-based) packaged properly. Frankly, I was elated that I could get a working DEB package on my own, and I doubt it would pass the quality bar of any serious package maintainer.